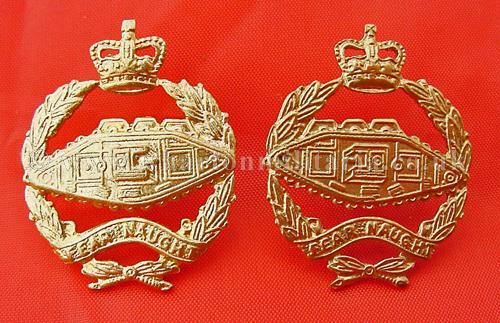 A fine pair of Royal Tank Regiment Band gilding metal, Queens Crown, collar badges in mint unissued/unworn condition. 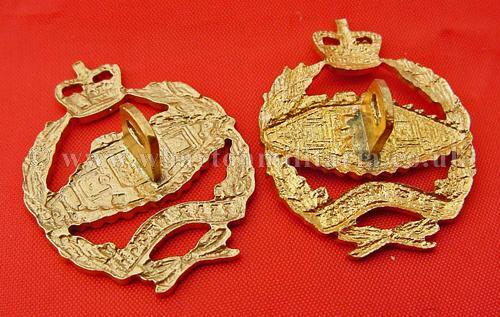 Beautiful quality, band collar badges are not often found these days especially in unworn condition. Complete with backing plates and pins.